Experts agree more than ever – play is vital. But where is the policy case being made? There were psychologists and neurologists, psychiatrists and teachers, philosophers and kings (I made the last one up, but I did spot a Baroness!) With such a diverse collection of eminent thinkers at last weekend’s Flourish Summit, one might expect a wide range of different analyses and solutions. Yet there was a surprising degree of convergence around one major issue. And the word that came up over and over again was play. “Children aren’t getting enough of it and this is a serious problem”, was the almost universal theme throughout the two-day event. Where next for play policy? The causes were slightly more controversial. The ubiquitous presence of electronic screens in children’s lives came in for serious condemnation from some, less from others. Poor planning, unfettered traffic, inequality, paranoid parenting and rapacious marketing all came in for their share of blame for the range of poor outcomes for Britain’s children. But over and over again the solutions were the same. After basic loving care and boundaries, what children from the earliest age need most is play, play and more (outdoor) play. In spite of this, there were, sadly, no play academics as such on the programme. Tim Gill, once of the Children’s Play Council, spoke of the recent gains in rolling back an oppressively risk averse culture, especially in playground design, while Cath Prisk of Play England had some good news about government funding to support street play. But against these modest advances the repeated, often heartfelt calls from educationists and others for children to be given more time and more space for free, outdoor play – in and out of school and nursery – was the most striking thing about the event. Many speakers roundly criticised education policy – not just the current government’s but longer-term trends in general, especially for the early years. This was perhaps unsurprising given the links that this movement has with the Open Eye campaign. 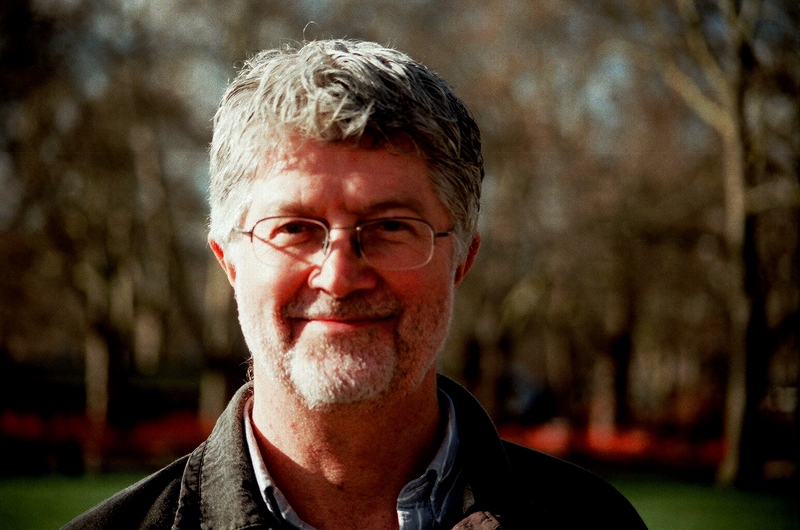 Dr. Richard House, of the University of Winchester, an Open Eye founder, only half-jokingly called for a campaign of ‘principled non-compliance’ in the face of a government that has dismissed the importance of free play, saying ‘there is revolution in the air’. Others echoed the cry. Even Baroness Greenfield, the Oxford Professor who has controversially linked excessive screen-time to ADHD and even autism, effectively called for a national play strategy saying, “it is not enough to try and restrict access to screens: we must create a more attractive alternative”. Now where have I heard that before? The Flourish Summit was like 2007 revisited. It was then that a similar list of the great and good from academia, politics and literature wrote to the Daily Telegraph demanding the government to act to protect shrinking childhoods and ‘let our children play’. The wave of support for action on play that swelled up around that time enabled us to amplify our case for a serious national play policy in England and for those campaigning for it to extend beyond the play movement. This gave us the extra momentum that took us all the way to the Play Strategy we had been campaigning for for nearly a decade and which, if it hadn’t been for the change of government, would now be into its sixth year. 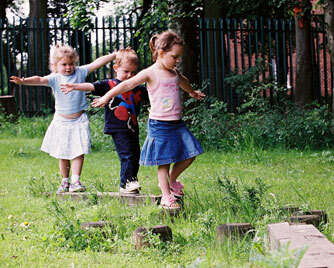 The Play Strategy set out over twelve years to transform our public realm, making all neighbourhoods into child-friendly places, perceived to be safe by parents, seen as fit for play by children; and building a new generation of play areas and adventure playgrounds designed for children rather than the maintenance budget or the health and safety officer. These are just the kinds of response now being called for with even greater urgency by those best qualified to know the consequences of not acting. Many other, non-governmental agencies have taken up the challenge since the plug was pulled. We heard yesterday from the National Trust, for example, whose Wild Network and Project Wild Thing are turning the flair of streetwise marketing ‘creatives’ to the task of selling the outdoors to children. Playing Out, conversely, is a grass roots parents’ movement aiming to help others to arrange regular play days in their own streets by the simple means of closing them off to traffic, which is not as easy as it sounds. Play England’s new Health funding will deservedly see resources going into helping this inspiring project to grow. There are many more examples. Providing for children’s play is a self-evident need for any community and the resourceful ones will always find a way to do it, whilst intelligent organisations like the NT will see their responsibility for it too. But the need for space – accessible, everyday, ideally natural space – for all children to play is so universal and so acute that only the government can really command the resources and marshal the sectors that need to respond sufficiently to have the impact that is needed. This government may not be interested in a play strategy, even of a different hue – certainly not one led by what used to be the Department for Children and is now very much the Department for Education – but the case for one is stronger than ever; and we are only two years away from an election. The answer, if we believe space for play is a societal responsibility, must always be in policy. It’s way past time for the case to be made for a new Play Strategy. I thoroughly enjoyed the energy and purpose of the Summit, and have returned to my reality with a renewed zest for proactive dialogue with anyone who will listen. I value time, space and opportunity for play, and not just for children. Frustrated by a ‘not knowing what to do next’ with all my research, study, writing and experience in Early Years, and invigorated by the playfulness of David Bond and his endeavours to raise the consciousness of the connection between nature and children in the wilder public through Project Wild Thing, I took a football on the school run. A parent first every time, I spent just an hour on the grassed ground next to the school. The slightly warmer sun meant I found ourselves not alone in ‘hanging about’. Without rules, schedule, discussion, adult organisation or high vis tabards, I found myself in a crowd, with goals made of school jumpers, toddlers on shared scooters, girls in school dresses climbing trees and even babies on a blanket. It was as if these people had known what I needed, to see all that my head had been trying to connect together, happen without contrivance – now that felt really liberating. I hope for an education built not for a curriculum, and policies devised to manage and monitor it, but one built on a deep understanding of the culture OUR children inhabit, and the values OUR present society has about childhood and how children develop. For now, I will keep a football in the car and my watch at home. Reblogged this on The State of Play:MKPA. Thanks for re-blogging Andy. Hope things are well with you and MKA.